Food, Family, Fun. 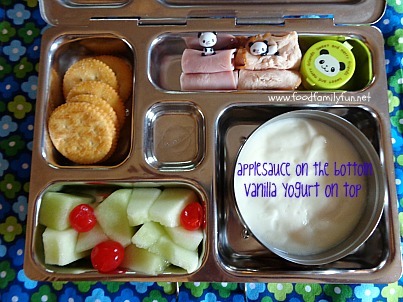 : Applesauce+yogurt = yummy! Yay! I'm so glad they you liked my applesauce + yogurt idea. It reminds me of my Mama"Wa", she always pour a little milk on top of her homemade applesauce to cut the tartness. Lovely lunch, you have such lucky girls!